As CUNY students, we all know how stressful the Metropolitan Transportation Authority can be, with its constant slew of delays, track fires and construction activities. This is why we should support Gov. Andrew Cuomo’s new congestion pricing plan set to take effect in 2021 as part of the state’s recent budget deal. Because there’s such a large quantity of CUNY students who take the MTA on a daily basis, it only makes sense to support an initiative that will improve its service. The plan aims to generate money to support the MTA and its never-ending renovations. It can potentially raise up to $1 billion a year if all goes according to the state’s plan. The way these funds are going to be raised is by creating a fee for all drivers — whether they drive personal cars, ride-sharing cabs or trucks — when they drive into a specific zone of Manhattan that spans from the southern tip of the borough to 60th Street. This fee will be added to the tunnel and bridge tolls rather than included in them. Cars already in this zone or leaving it will not have to pay, but once they return back to the area, drivers will be charged the fee. Fees during rush hour for a personal car can possibly cost as much as $14, though nights and weekends are expected to cost less, according to traffic expert Samuel I. “Gridlock Sam” Schwartz, as referenced in an article in The New York Times. While all this may become an inconvenience to drivers who work or live in Midtown, it likely will benefit people who use the subway and city buses to get around, including the large number of students currently enrolled in a CUNY school. Baruch College students, as most other CUNY students, often come from New York City, which means that many take public transportation to get to their classes, jobs and internships; even students living in the dorms or other parts of Manhattan use the MTA to commute from their neighborhoods to school. Other students come from Long Island or even counties upstate, which requires them to use the Long Island Railroad or Metro North, respectively, and then transfer to a train or bus to get to Baruch. 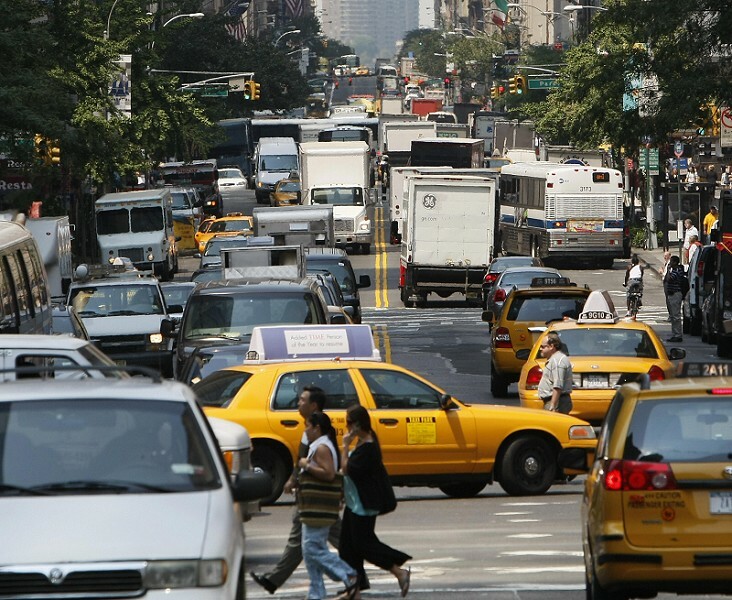 It’s not likely that a large group of CUNY students actually drive to Manhattan with any regularity, especially not to get to school, so chances are that students wouldn’t even be affected much by the added fees.